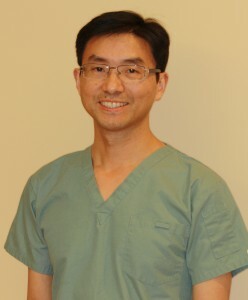 Dr. Peter Xiang received his DMD in 1992 and PhD in 1997 from Wuhan University, China. He then joined the Provincial Hospital and School of Stomatology in Wuhan University, China and was a clinical professor in the Department of Periodontics before he moved to Winnipeg, Manitoba. Dr. Xiang completed the Graduate Periodontic Program and earned his Master degree in Dentistry (Periodontics) at the University of Manitoba in 2015. He passed the National Dental Specialty Examination (NDSE) and was accepted as a Fellow of Royal College of Dentists of Canada (FRCD) in 2015. Dr. Xiang has collaborated on multiple research projects and published more than 20 peer reviewed papers and has contributed chapters to four books. He is the winner of a number of prestigious awards both nationally and internationally, such as Western Canada Dental Society Graduate Student Scholarship, Dr. John (Jack) Neilson Research Award in Oral-Systemic Health, Russell E. Wallace Memorial Fund, Finalist of Balint Orban Competition, American Academy of Periodontology and Canadian Institute for Health Research (CIHR) Canada Graduate Scholarships Master’s Awards. 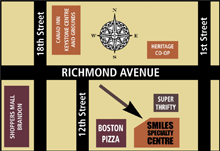 Dr. Xiang is the owner of Brandon Perio Clinic, in Brandon, Manitoba, a patient centred periodontal specialty practice. He and his team are looking forward to meeting you in a friendly and welcoming environment and providing you with the very quality care you deserve.